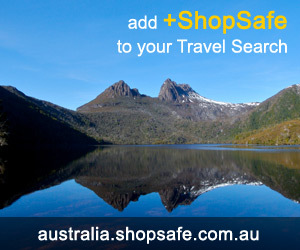 There are 12 shops in the ShopSafe USA Accommodation Shopping Category. Rates To Go Discounted Hotel Links. Excellent last minute hotel deals from Rates To Go - instant reservation service for hotels and apartments world wide! A terrific range of hotels with instant confirmation. They cover over 15,000 cities across Europe, US, Canada, Asia, the Middle East, Africa, Latin America and the Pacific Rim. * Best Rate Guarantee- If a customer finds exactly the same deal online elsewhere for less they will match the other price and refund the customer 100% of the difference. Read the Hotel Reviews, written by travellers just like you. There is no better way to choose the right hotel than by reading impartial reviews. Hotel Club is a fast and secure service where you can save up to 60% on your accommodation. Good site worth a look - Last minute specials changing daily. Shop and compare from over 201,000 hotels around the world and select your exact hotel and price - or - Name Your Own Price and save up to 60% off the best available retail rates. Customer reviews available. Fairmont Hotels & Resorts is the largest luxury hotel company in North America, with a distinctive collection and a worldwide reputation for excellence. Book online for the Westin experience - With over a 160 worldwide these Hotels and Resorts are truly a haven of serenity and a distinctive alternative for those who appreciate a higher standard. Specials and Packages section definitely worth a look. Great hotel rooms at great rates. Whether you travel for business, leisure, or family vacation, find rooms and suites and book hotel reservations online. Hotel Planner has over 15,000 hotels worldwide to ensure you get the best group hotels rates for your business meeting, conference, convention, family reunion, wedding, work crew, bus tour, military reunion, church event or any group travel. Their services also include discounted group cruise deals, car rental rates and group flight quotes. All else failed? Let us help. If you want to see more Accommodation here, please e-mail accommodation@shopsafe.cc. Please do not change the subject line of your email. If the subject line does not contain "Add to ShopSafe Online Shopping" it will not be read.